The Maltese Natura 2000 sites Il Ballut at Marsaxlokk and il Maghluq at Marsascala, are important wetlands for migrating avifauna and also the home of the endemic killifish. Close to becoming extinct, a breeding programme for the killifish sub species has begun. In October, Nature Trust Malta, in charge of the conservation and management of these two important wetlands, undertook their clean-up. 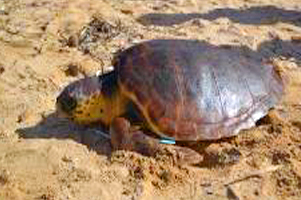 Nature Trust Malta has also launched a plastics awareness campaign following a year of turtles coming to the rehab center with ingested plastics. The campaign focuses on beach-goers and schools, explaining the impact of plastics on marine life and how citizens can contribute by disposing of plastic properly.